NASA announced which new experiments will be sent to the space station aboard an upcoming SpaceX Dragon flight. The life sciences experiments on the next SpaceX Dragon flight to the International Space Station include examining wound healing and bone marrow, NASA said March 19 in a telephone press conference. Dragon will launch no earlier than April 2 from the Kennedy Space Center in Florida. The wound-healing experiment might help not just astronauts on long-term missions, but also members of the military on Earth. 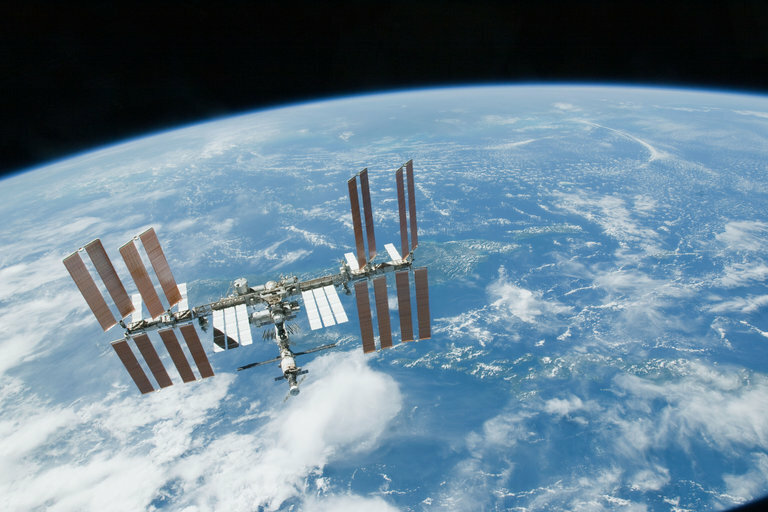 Tympanogen, Inc. is developing an antibiotic gel, which will be tested aboard the space station. Principal investigator Elaine Horn-Ranney, the company's co-founder and CEO, said a key challenge for soldiers is applying the gel sufficiently. If the antibiotics aren't applied properly, soldiers can develop conditions such as sepsis. Previous work on the space station suggests that crystals grow in more regular patterns there than they do on Earth. It's unclear if gels behave the same way, so Tympanogen will focus on the material properties of the gel. It will examine how the gel is structured, and how the gel releases antibiotics into a water solution. From past ISS research, Horn-Ranney said, they suspect that the gel's release rate is driven by surface tension, which is more important in liquid release rates in microgravity than the concentration of the drug. Horn-Ranney added that a viable product for soldiers is about five years away because of US Food and Drug Administration regulatory requirements. Dragon will also carry equipment for an ongoing life sciences experiment called Marrow. The investigators are interested in whether bone marrow in space has increased fat content. On Earth, researchers saw more fat during bed-rest studies that are intended to simulate microgravity effects, as well as in animals. They hypothesize that as fat content increases in the bone marrow, this displaces the room left for blood cell production inside the marrow, which in turn may weaken bones. Red blood cell content can also be measured by breath samples, so one of the pieces of equipment will be a series of bags. Astronauts will blow into the bags to provide samples, then transfer the bags into a metal canister to return on Dragon. White blood cells will be collected using blood samples that will also be sent back to Earth on Dragon. "We're interested not only in what is happening in space, but how do astronauts recover from the changes happening in space," principal investigator Guy Trudel, who is with the University of Ottawa and the Ottawa Hospital Research Institute in Canada, said in the press conference. He added that in bed-rest studies, such as a 2017 study in Physiological Reports led by Trudel, increases in bone marrow fat appear to last over the long term. Astronauts in Trudel’s study will have their fat measured before flight and up to a year after landing using magnetic resonance imaging (MRI). If these changes persist, he said, it could make a two- or three-year Mars mission difficult since astronauts would have negative health effects as early as halfway through. Although the experiment has been ongoing since Expeditions 43/44 in 2015, Trudel said the investigators could not release any data on the astronauts at this point. Space experiments typically have only a few subjects, making it difficult to draw conclusions, especially while the experiment is still ongoing. Current data collection is going well, he said, although there were "a number of technical challenges" in getting the study running. Trudel did not specify what those challenges are. But he added there are no plans in changing the protocol for the experiment. Any changes to the procedures will wait until a possible next phase of the study in space. The current experiment will conclude in November with Expedition 58, which includes Canadian astronaut David Saint-Jacques. The Atmosphere-Space Interactions Monitor will examine how severe thunderstorms affect the atmosphere and climate of Earth. Its principal investigator is Torsten Neubert of the National Space Institute at the Technical University of Denmark. The Materials International Space Station Experiment flight facility (MISSEE-FF) will test materials, components, and coatings on the exterior of the space station. The goal is to provide data for many types of new products, such as solar cells or astronaut clothing. MISEE-FF is produced by Alpha Space Test and Research Alliance. Gravitational Effects on Distortion in Sintering will examine how microgravity affects the production process of products formed from metal powders. One possible application is improving fabrication and repair in space. Its principal investigator is Randall German of San Diego State University. Two high-school student experiments will fly as part of the third round of the Boeing/miniPCR Genes in Space program. The selectees were announced in July 2017. An experiment developed by Sophia Chen from Lakeside School, Washington will measure cancer-inducing genomic instability in astronauts. And a study by Elizabeth Reizis from Stuyvesant High School, New York will investigate how microgravity affects the differentiation of immune system cells. One notable returning experiment is Robonaut 2, which uses a robot to test simple tasks on the station such as throwing switches. Robonaut had repeated issues with powering up in orbit, so NASA concluded it was best to bring the robot back to Earth for repairs before returning it to space on a future flight. Its return date has not yet been announced.